On Monday-4-June the Schools of the Bogota Public School district started their week of the Arts celebration. 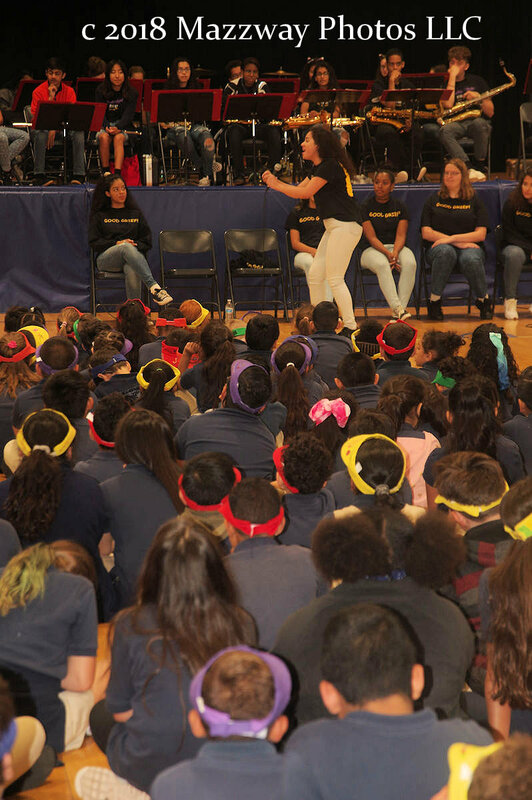 Both Steen and Bixby schools started the week by watching performances from the Bogota High School Fine Arts Dept. They first stopped at Bixby School in the morning, then traveled to Steen School after lunch. 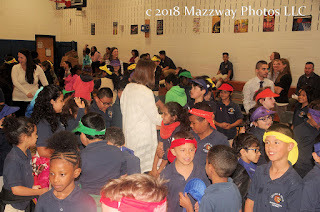 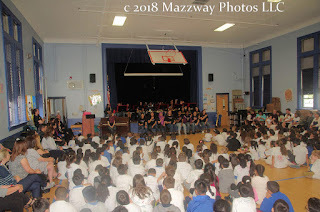 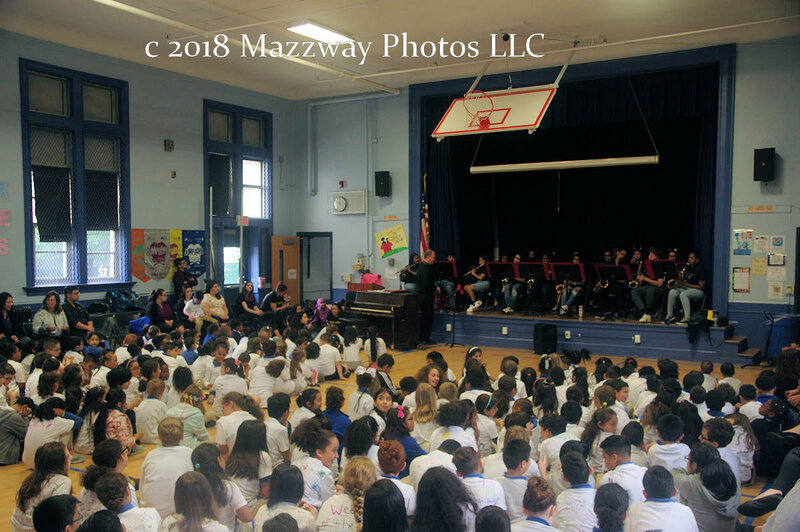 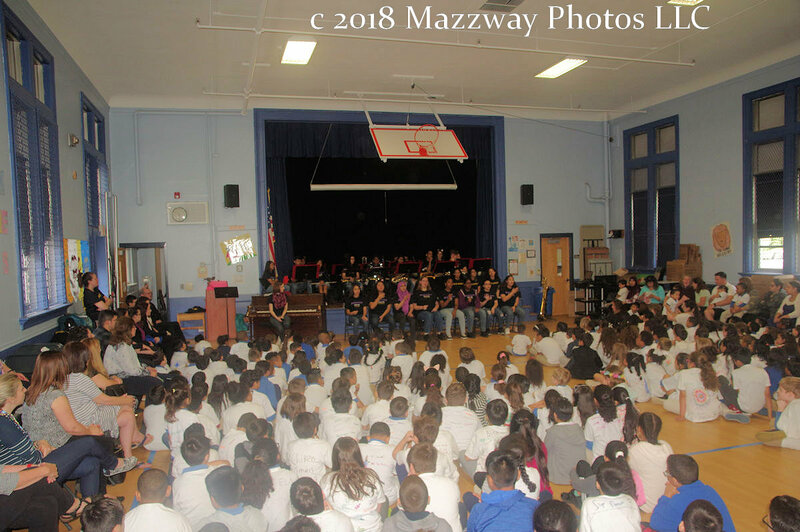 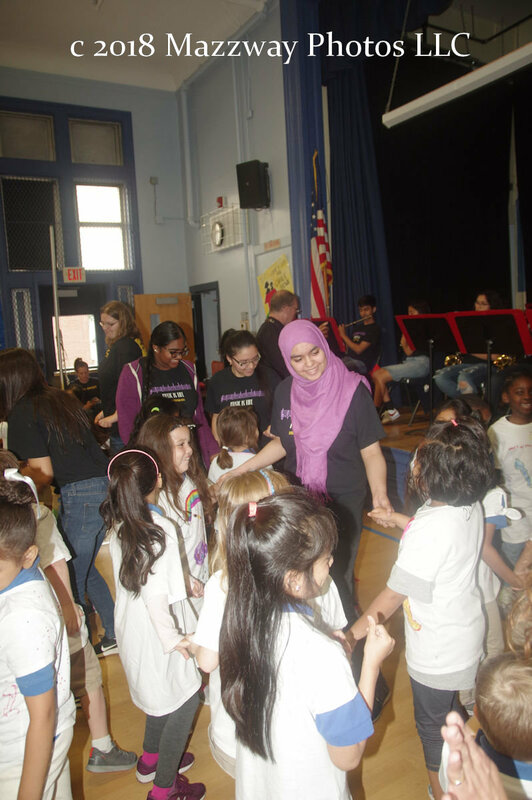 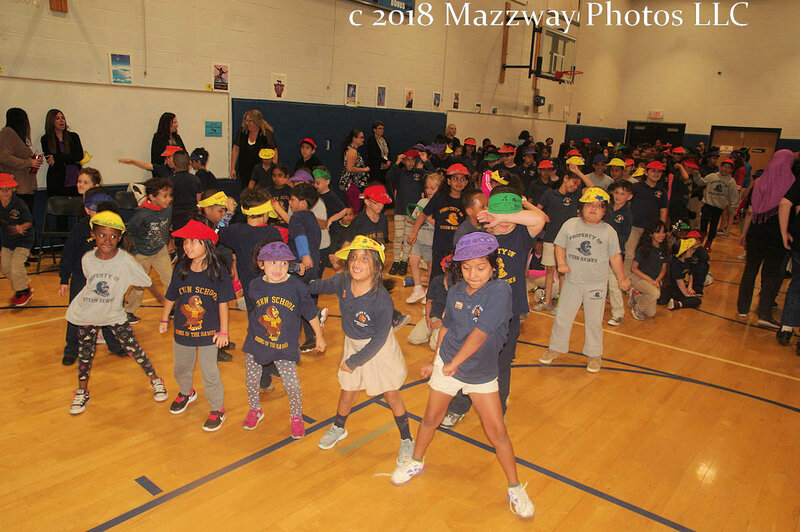 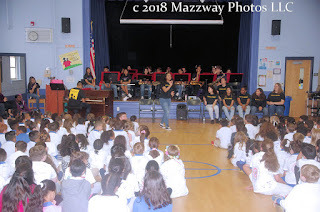 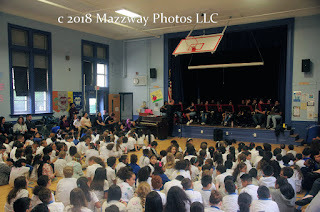 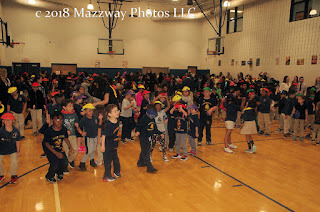 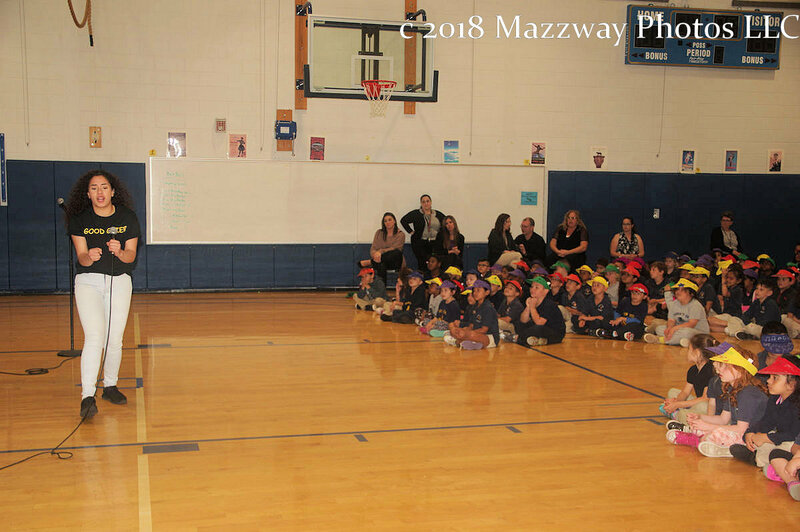 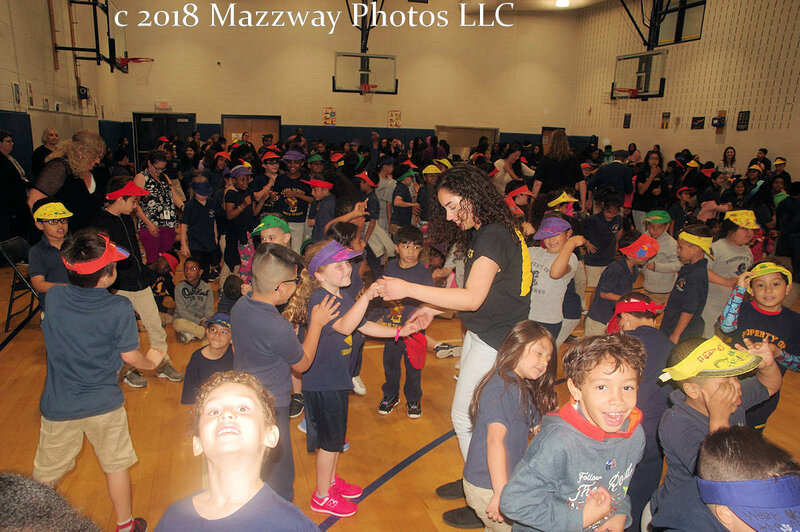 At both schools the elementary Students gathered in the schools Auditorium to watch the different types of entertainment available at the High School level. 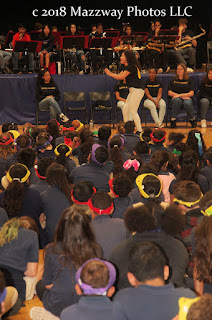 First there were excerpts from this years spring musical "You're a Good Man Charlie Brown". This showed the younger Students on how a story can be told through the use of song. Then came two types of singing styles. 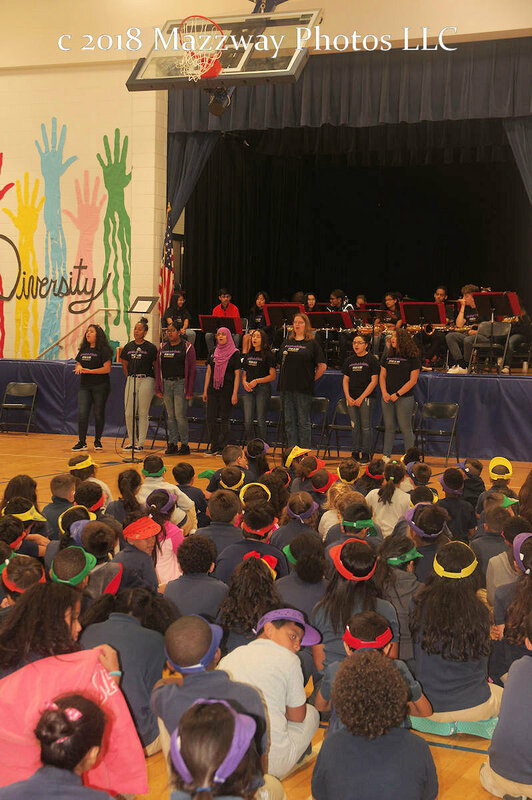 One was performance by the " Purple Notes" The High School A Cappella choir. 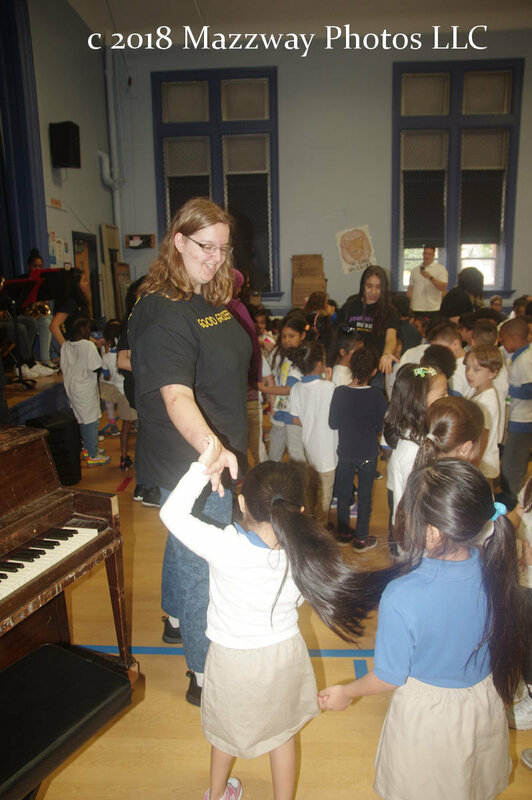 The sang without music accompaniment using their voice, and their bodies to create music. After that the main Choir sang with an instrumental back ground and also with the help of the Students in the audience. 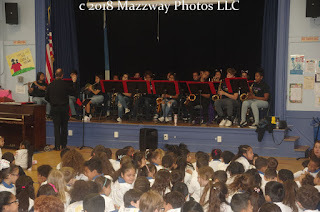 The final performance was the Bogota High School Jazz band which showed the different types of styles and sounds from the various types of instruments. 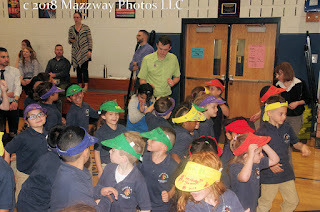 Band Director Mr Barry McCann had his musicians raise their instruments so the Students could see what the look like. 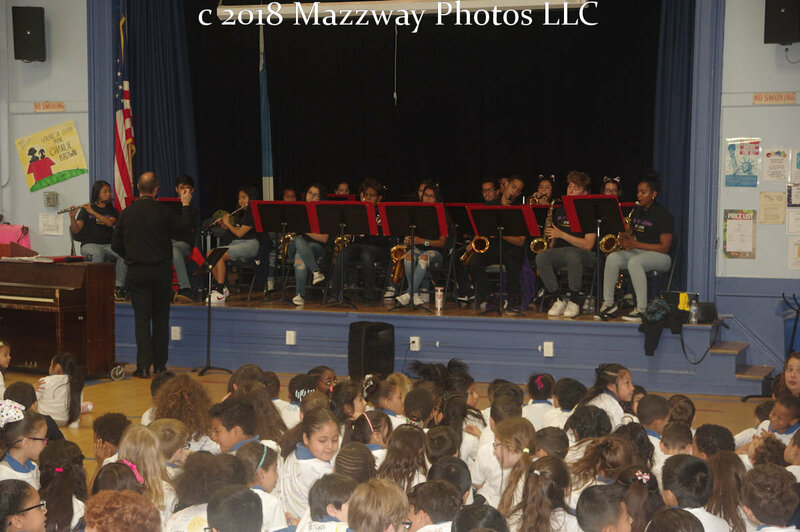 From Woodwinds, to Brass, to percussion the band played a different piece to highlight each type of instruments. 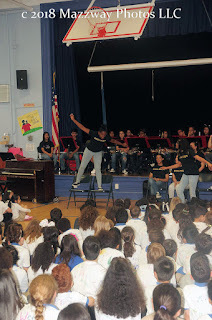 The last song performed allowed the Student a chance to get up and dance. 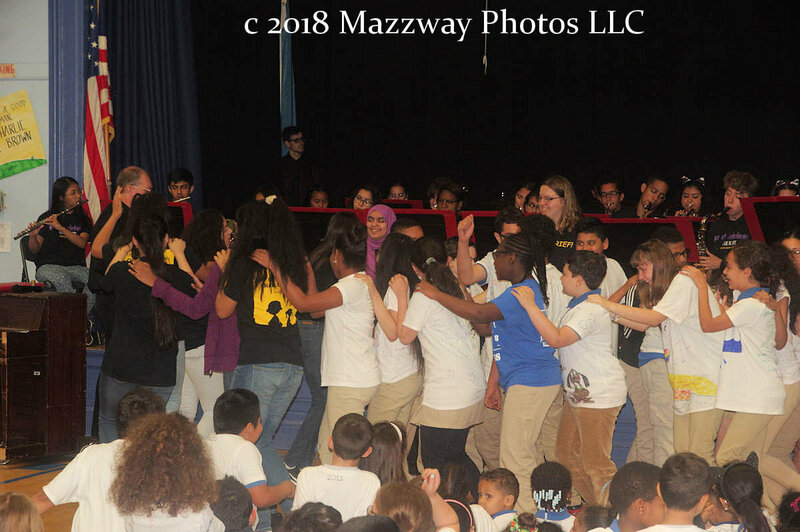 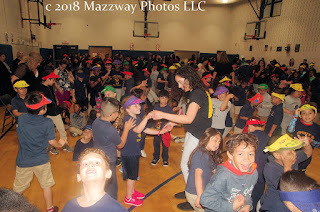 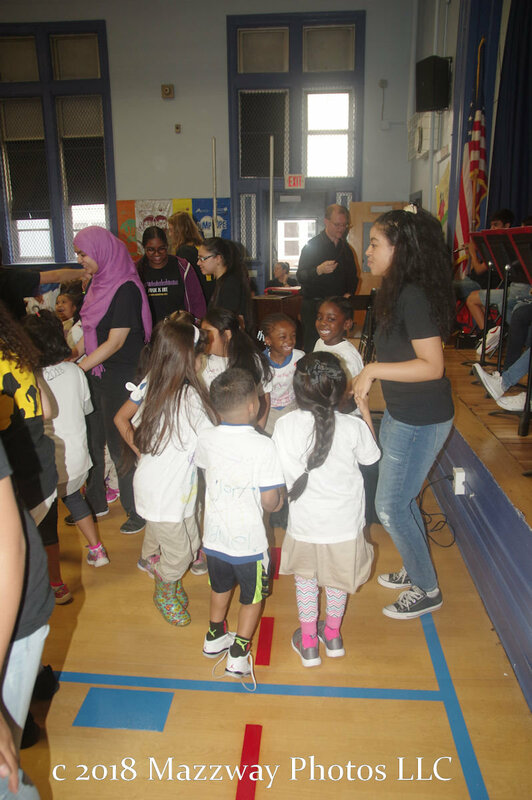 The Steen Students began moving they were joined by their Teachers, and the members of the choir to dance to fully enjoy how different forms of music can be enjoyed. 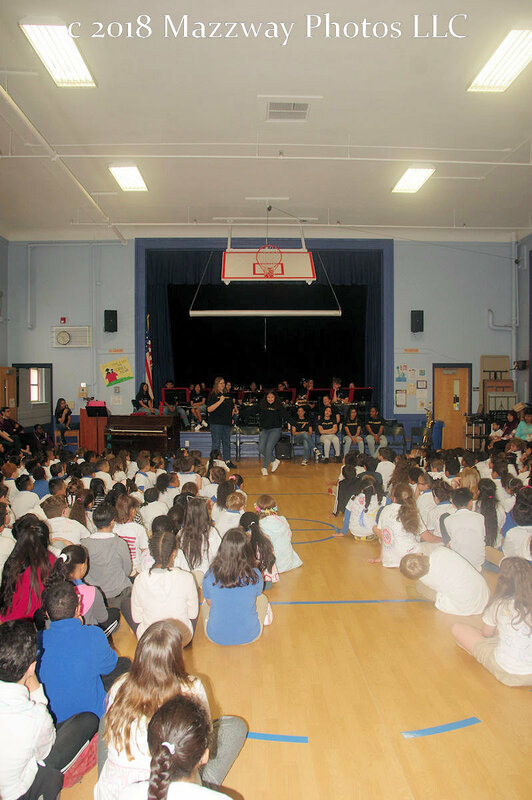 Week of the Arts continues for the rest of the week exposing the grade schools to even more styles of music. 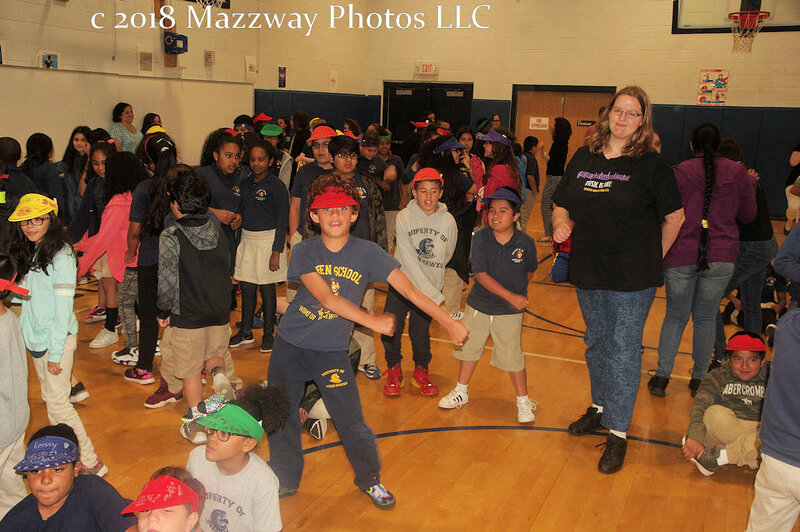 There will also be samples of the visual arts including pottery making, drawing and sculpturing. 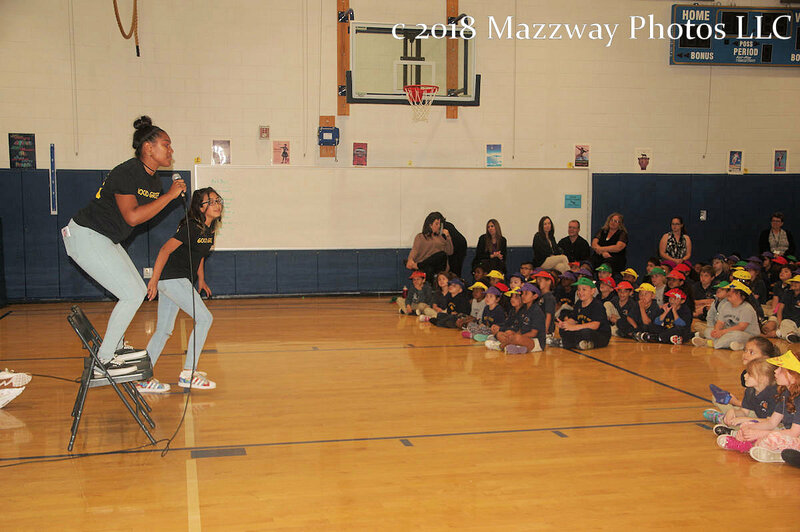 Written forms of the fine arts will show how using words to create poetry and story telling can to used to expand the quality of living.